BEFORE Australians went guano-crazy for dual-cab utes, the battle for annual bestseller was between small cars, the Toyota Corolla and Mazda3. 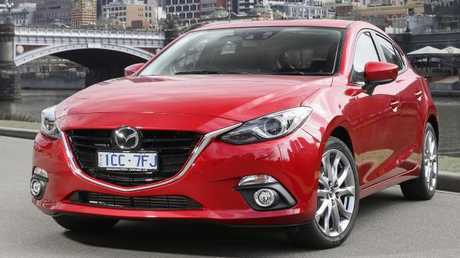 Far from the last word in excitement, both proved ideal for a huge range of buyers, with private shoppers in particular picking the Mazda. The hatch and sedan of 2014-16 is a smart used prospect. Why so popular? 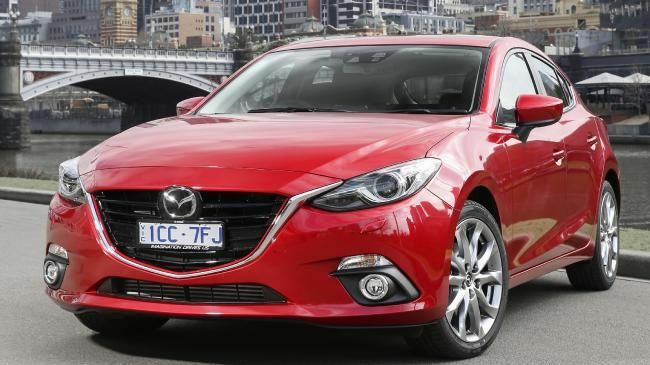 Sharp good looks thanks to Mazda's Kodo design language, an engaging drive, good ride comfort, solid engine line-up and a cabin feel that bested most rivals. It wasn't perfect. Road noise was a consistent grumble, the boot and rear seats weren't huge and the base Neo grade missed out on Mazda's touchscreen infotainment and rear camera. Without it, these 3s feel very dated. Positively, the model has proved reliable and owners report no serious common problems, boosting its credibility. Among listings, there is a near-even mix of five-door hatch and four-door sedan. The hatch is arguably better looking and has an easier-to-load boot space, although it has only 308L against the sedan's 408L. Engine options were 2.0-litre or zestier 2.5-litre petrol. A 2.2-litre diesel variant, the XD Astina, was available from September 2014 as a hatch only and sold poorly (due to its expense rather than talent). Economy is excellent on paper and in the real world, with the 2.0 claiming up to 30 per cent better consumption than the model it replaced. Both transmissions, six-speed manual or automatic, are fine choices - the manual in particular is slick and engaging. The 2.0 came in Neo, Maxx and Touring grades, while the 138kW 2.5-litre powered the SP25, SP25 GT and SP25 Astina. Standard were six airbags, push-button start, power mirrors, cruise control, Bluetooth, USB input and, for hatchbacks, a spoiler. Entry-level Neos had only 16-inch steel wheels and the antique audio, so it's worth seeking a Maxx grade or higher for better fruit. 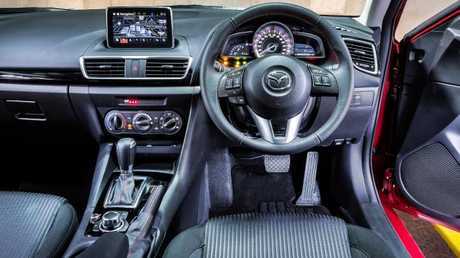 These came with 16-inch alloys, leather steering wheel and shift knob, paddle shift for the autos, satnav, reverse camera and what Mazda calls its MZD Connect audio with seven-inch screen controlled by touch or rotary dial. Next rung, sport or luxury? The Touring added leather and the SP25 the hotter engine and 18-inch alloys, while both gained dual-zone climate control, keyless entry and auto lights and wipers. SP25 GTs got all the gear in the cabin, plus LED running lights, bi-xenon headlamps, LED tail-lamps, electric driver's seat, head-up display and Bose audio. SP25 Astinas added a sunroof, radar cruise control and an active safety suite including blind spot monitor, lane departure warning, auto emergency braking and rear cross traffic alert. This safety pack was optional on all so you may find any grade with these features, likewise a sporty Kuroi pack with body kit and 18-inch black wheels. The model was replaced by the current Mazda3 in late July 2016. With so many examples on the market you can afford to be picky. Prioritise cars with a full Mazda dealer service record and some of the three-year warranty remaining and low kilometres. Aim for as high a grade as you can afford. 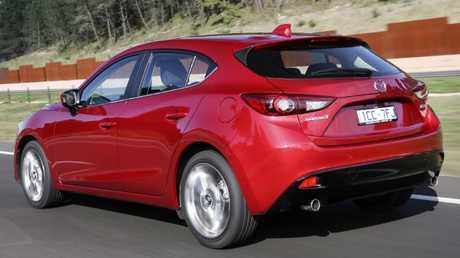 The road noise you hear when test driving is a lot less than the previous generation Mazda3 but owners still complain. Try any potential purchase over a variety of roads - highway, twisty back road and a coarse surface - to check it doesn't bother you, likewise the overall ride comfort. Some owners say the model is quite crashy and uncomfortable to live with. There have been owner grumbles about the navigation, so ensure it and the whole infotainment set-up works faultlessly. Any gremlins should have been handled with software updated during services at Mazda dealers. Very rare, XD Astina diesels are brilliant torquey things with lashings of luxury. They share the engine with the Mazda6 and CX-5, where instances of diesel particulate filter (DPF) problems and resulting fuel contamination in the engine oil have been noted. If there's a DPF light flashing on the dashboard, or if the oil level is too high on the dipstick, best to walk away. 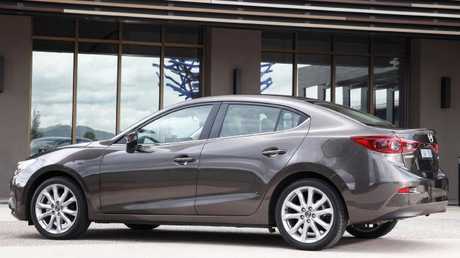 A reliable and superb all-rounder, the Mazda3 is a safe used choice. Avoid the base Neo to get better infotainment, favour the SP25 models for lustier performance and pick one with some warranty remaining for peace of mind. Don't pay too much though. 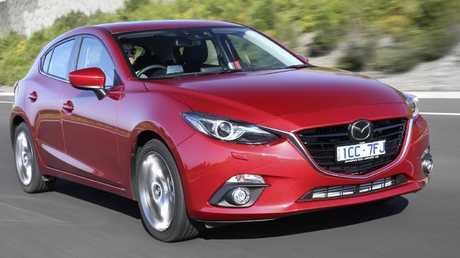 New Mazda3s can be had from $21,490 with good inclusions and a new five-year warranty. JUDITH DOYLE: My 2014 Maxx hatch was my first Japanese car. I love it and have encouraged friends to buy one too. It's comfy, easy to manoeuvre, economic to run and maintain and is equally good on city roads and motorways. It fits four adults and there's plenty of boot space. JULIE HAMILTON: I have a 2015 Maxx sedan with safety pack. I bought it for its safety features, fuel economy and the driver's seat comfort - I travel 1000km a week for work. I don't like the feel to the fabric seats and I wish it had a full-size spare. A rear shock absorber was replaced under warranty after 100,000km, but it's been reliable otherwise. PETER D. BROWN: My 2014 Maxx hatch has done almost four years of absolutely trouble free running and I love the car. It is comfortable and has everything I need, the engine is beautiful powerful and fuel efficient. I've got from Adelaide to Melbourne on one tank. The split-fold rear seats are great and give lots of cargo room. The satnav could be better (try Garmin perhaps) and the rear view is very restricted due to the high back rear styling. PETER O'SULLIVAN: I bought my Astina automatic new in 2014. This is a lovely car and has run trouble free since new with tyres and brakes lasting 62,500km before replacements were needed. It is a sporty and safe vehicle with many luxury appointments and safety features. The paddle-shifters and transmission are a delight to use. On trips interstate we use 6.4L/100km and in the city 7L-8L. MICHAEL CEMM: Our Maxx, bought new four years ago, has done 77,000 faultless kilometres. Its fit and finish are excellent, it is very economical, it offers satisfactory comfort on a long run and the engine and gearbox will probably last forever. That's about it for positives. It doesn't hold a candle to the many Mazdas we've owned in the past. An inspiring drive it is not and the road noise is barely acceptable. DOUG HORNE: In my 2014 Mazda3, bought new, the 2.5-litre is not only extremely spritely but also more economical than rival 2.0s. The car has done 70,000km, virtually trouble free, though the iStop works intermittently. Tyres, brakes and battery are original and still going strong. Servicing is reasonable at about $300 each but the 10,000km interval is not enough. The road noise above 80km/h is quite simply not acceptable in such a modern vehicle. This problem will not show itself on a run around the block so buyers beware. The third-generation Mazda3 was the brand's most successful model in its years on the market, selling nearly 95,000 examples - more than 43,000 of those in the first year. Among used examples, the majority have 2.0-litre power and only a fraction are diesels. The bulk of the listings are automatics. For 2014, the base Neo manual hatch ($20,490 new) is currently valued at $14,800. The flagship XD Astina diesel auto ($42,230 new) will fetch $30,600. For the same variants in 2016, the Neo is now worth $17,300 and the XD Astina (new price dropped to $41,290) is valued at $34,950. Tell us about your Mitsubishi ASX. 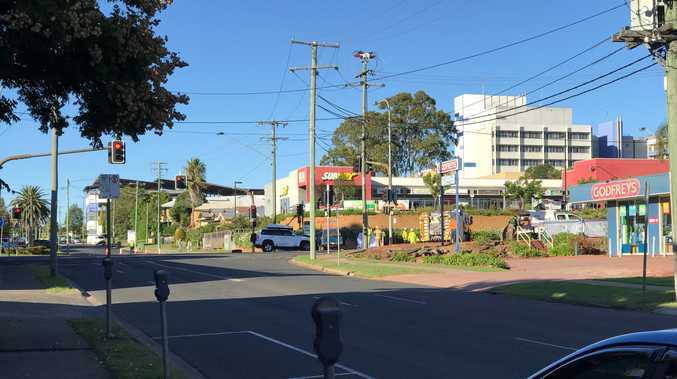 Write to cars@news.com.au or motoring, PO Box 4245, Sydney, NSW 2001.